For centuries, we enjoy the chocolate to improve mood or as an aphrodisiac. Recently, scientists have found that chocolate has more benefits than just treating cravings. Studies in 2008 in Italy and in 2007 in Japan have shown that eating small amounts of dark chocolate every day can help reduce the inflammation that often causes heart disease. How much exactly "small number"? The researchers said that to get the benefits of chocolate for heart, someone just needs to eat 7 grams of dark chocolate every day, equivalent to a few small bites. According to a study in Germany, eat a little dark chocolate every day can help reduce systolic and diastolic blood pressure you, each one a few points. Just one or two small bites of dark chocolate, because if too much weight and your blood pressure rose. 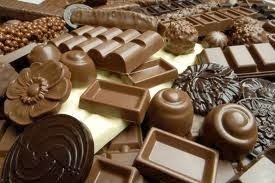 Chocolate may help you handle stress. 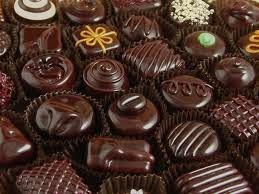 Scientists have shown that eating small amounts of dark chocolate (dark chocolate) for two weeks can reduce cortisol and catecholamines, hormones that increase feelings of distress. Dark chocolate full of mood-enhancing hormones, namely phenylethylamine and serotonin. The taste and sensation of chocolate that melted in the mouth also can improve mood. Our brains need a lot of oxygen to function properly, and dark chocolate contains chemicals that help increase blood flow, and thus, increasing oxygen to the brain. This is good for memory, alertness, and other brain functions. We know, having high cholesterol can cause heart disease. Dark chocolate is ready to reduce bad cholesterol, aka low-density lipoprotein (LDL) to good cholesterol, aka high-density lipoprotein (HDL) may increase. If you are diabetic, and want to get the benefits of chocolate, there are options for you. One way to enjoy the dark chocolate without worrying about blood sugar rises is to sugar-free chocolate.